Monetization models are rising through the roof. Advertising, driven by rewarded video, is proving to be a crowd-pleaser, netting and converting high-quality users from the get-go. At the other end of the spectrum, sweeping changes by Google and Apple--providing app companies a bigger piece of the action and a bigger slice of the recurring revenues pie—are encouraging more companies to offer their app as a subscription model. 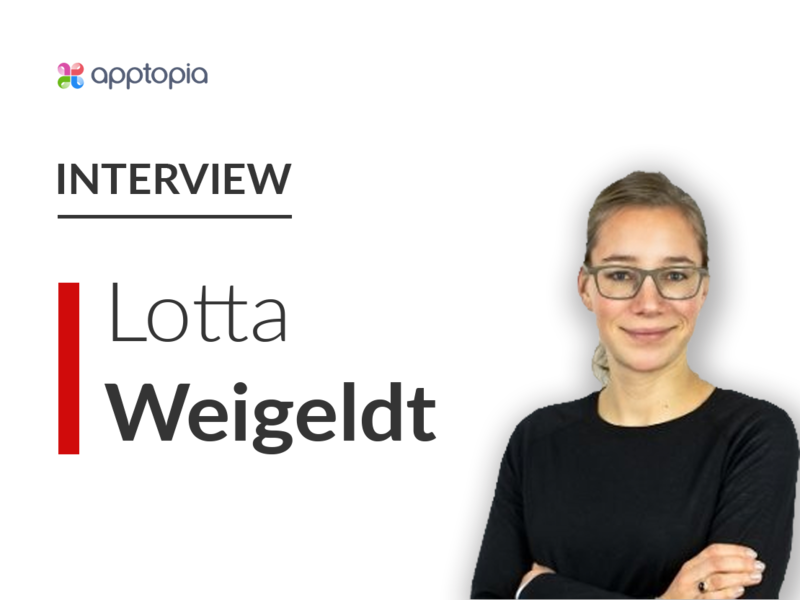 We continue our Women In Mobile series, recognizing the women who play a pivotal role in the App Economy, with Lotta Weigeldt, a growth marketing Jedi who has an impressive track record and expertise in performance marketing, product, ASO and CRM. She outlines your 3-step personal action plan—where you need to focus time, money and effort--depending on your priorities and your goals for your app. Whether you want to achieve goal-oriented growth and profitability or lay the groundwork for a subscription app business built to last, Lotta draws on personal experience to offer actionable advice. And don’t miss out on the opportunities you have for internal marketing. Is your product applicable for a refer-a-friend program? Do you have long-term website users, to whom your app is on-site and via email promoted? Look at your entire marketing set up to accelerate growth - be it paid campaigns, organic growth improvements or internal promotions. Reams of recent research shows users will pay for your app - and more will start to. But to convince your audience to open their wallets, you have to show your app provides value for money. This is where the right mix of monetization model, messaging, and (more importantly) pricing come into play. If you see conversion rates where your subscribers bring enough to the table, perfect. Otherwise, it is quite common to have a mixed strategy. Monetize your non-paying users by displaying ads (nice side effect - “no ads” is a great upselling argument) and offer your subscription with even more functionality and continuous new content / features. This mix is well known and quite accepted by most users already. Price: Be critical with yourself and the service you are offering. What is it worth to the user? What would the user pay somewhere else for a similar service? It’s the obvious trade-off: conversion against price. But it’s not always that simple. The price should also be a symbol of the value you bring, and keep in mind that it needs to offer you a bit of leeway to run your promotions. If you are running your app internationally, adhere to local pricing standards: e.g. €9.99 for Northern Europe, €9.90 for Spain and avoiding any number with “4” in many East Asian markets - a symbol of bad luck. Digital products have the advantage of allowing number-driven optimization. Tests are a vital part of all areas - be it performance marketing campaigns, ASO, registrations forms or paywalls. If your aim is to increase your bottom line, it’s advisable to start optimizing the paywall: “Optimization and testing on the paywall can be powerful, as every little move of the needle here brings in people who are going to commit to recurring payments.” The two main parts to optimize on a paywall are your communication and your subscription options. Subscription options: App companies should test pricing options and provide plenty of choice to back them up. “You can offer a 12-month package that can cost, say, €24.99. But you should also be ready to offer a Silver plan or a Gold plan, or even a Gold-Plus plan. And vary the duration with maybe one for one month, another for six months and the full-out package for 12 months,” Lotta explains. “Whatever you do, always give the user at least two choices.” And it’s not just good for the customer. “For testing purposes, it's great to have at least two options.” But be aware, that too many choices can prolong decision-making process and might put users off. Two to four choices seem to be a great start, but even better, test what fits your users and your product best. In addition to the promoted packages, think about your benefit communication on the paywall. Are the benefits crystal clear to each user who lands on the your paywall? Great! It might be best to focus on the packages without much further explanation. Otherwise, be sure to highlight those features that have convinced users to make a purchase in the past or are frequently being used by your current subscribers. Especially on our mobile screens, ensure to be concise - if the user’s way to the paywall follows valid upselling arguments, subscription options are what the user expects and should be the primary information on your paywall. “At all times, communicate what makes your app special and identify creatives to tell your story in a way that will resonate with your audience.” Get it right, and you’re on your way over the biggest hurdle in app marketing: finding the appropriate and effective way to engage users who understand and genuinely appreciate your app, and in the end, become content subscribers who are valuing your product and spreading the word about it.